Tokyo Dome: My First Time Watching Baseball! Baseball, an ALL AMERICAN GAME! Baseball: A game that is almost boring, unless you see then running ! 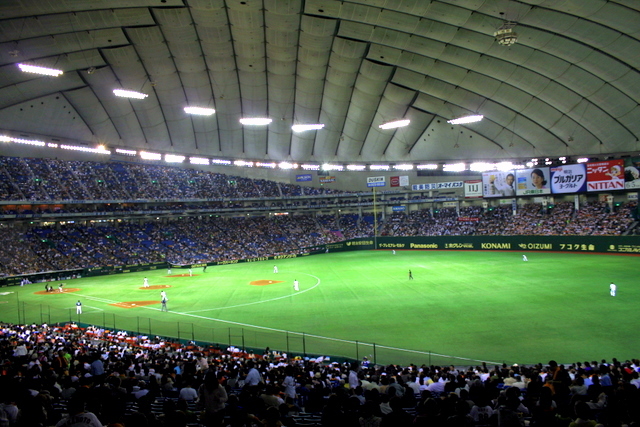 This is Tokyo Dome, with capacity of 55,000 baseball fans. It’s the home of Yomiuri Giants baseball team. 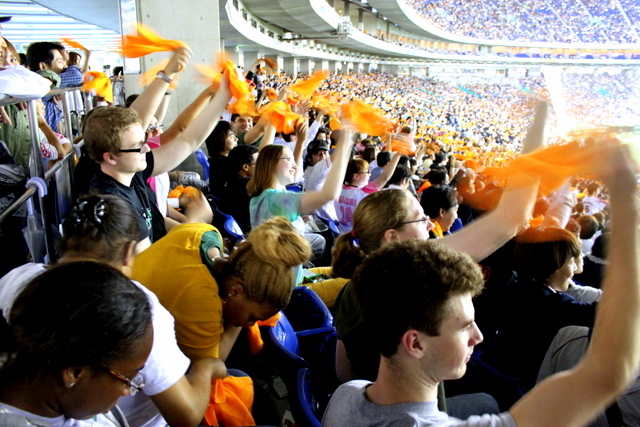 The team has orange as their color, as you see us cheering for them! I think that was why they won the game!! The baseball game is Japan is judged by the same rules in US and other countries, but the way they trick each other to steal the base happens more often in Japanese baseball – according to Nicholas. 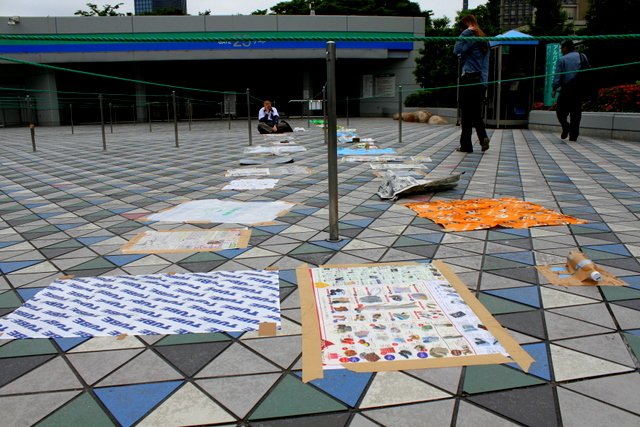 Another cultural experience: What do you guess these papers and bottles sticked to the ground mean ? These papers are each representative of a person standing in this queue ! Yes, Japanese come here much earlier than the game, and leave this stuff behind with their name on it. How much people would care about a paper on the ground in other countries ?